Size: approx. 6 mm. Photo: 04/09/15, 9 pm. 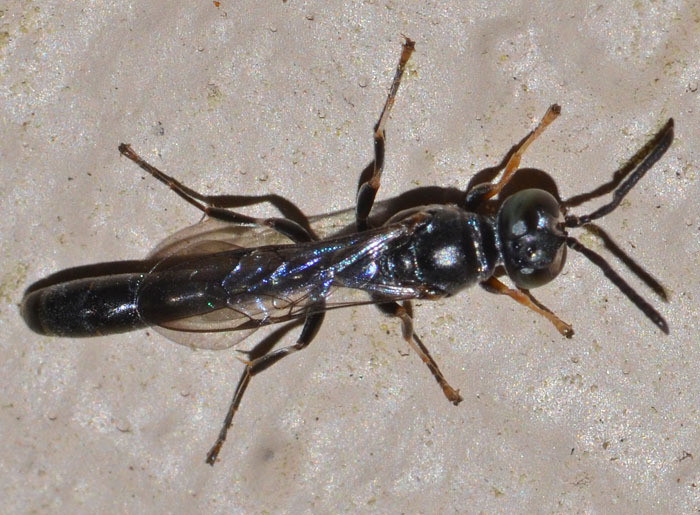 A square-headed wasp in the genus Trypoxylon which has 29 species in the US. Distinctive features are the "notched" eyes and the club-shaped abdomen.